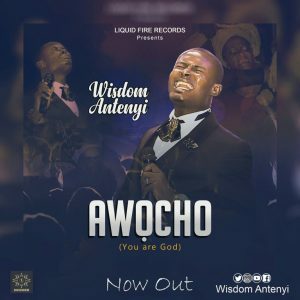 Pastor Wisdom Antenyi releases another power song from the depth and passion of his heart through his lips to the great Monarch of eternity(GOD). The song “Awocho” is track 4 on his new album “Ocean Divider” The album officially came out on the 10th of March 2018. Awocho (You are God) is a spirit song, a celestial sound that carries the mighty wind of the Holy Ghost. This amazing song is beautifully rendered in the Nigerian Idoma language. Singing The Songs, Kindling The Fire.